There has probably been written more about dreams than I have had. I tend not to remember mine in the morning, so I try to concentrate more on day dreams. Imagining myself in places that I have never been and likely never will see, psychedelic whirlwinds of colour, sound and imagery that leave me breathless with my heart pounding. 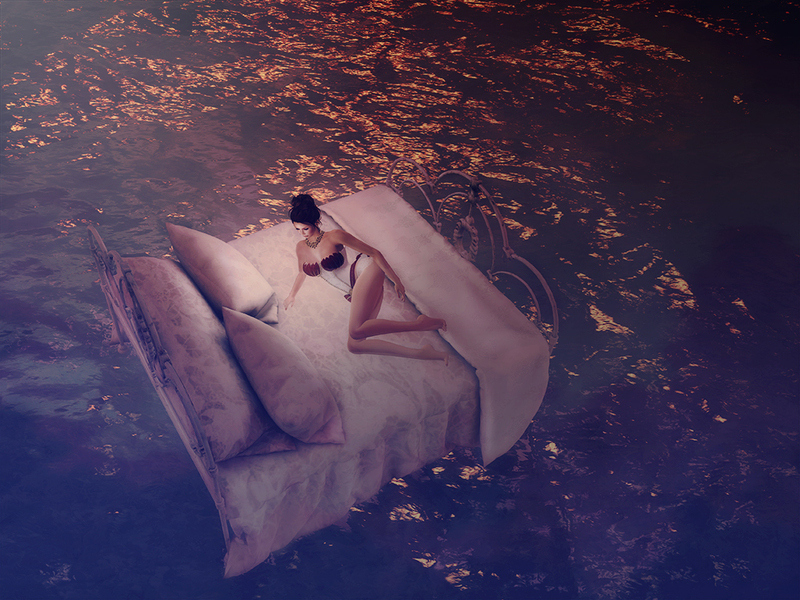 It is those moments when my imagination expands my universe to a place where I can recline on a downy-soft bed, afloat on a gentle tide. Where the sounds of the waves seduce me with their eternal dances. At work I am known for “going into the zone,” where a colleague must call my name several times before I respond. Usually I am just focused on my work, tuning out the conversation and noise around me. But sometimes, if there is a smile on my face, you can be sure I am adrift on the tide of dreams. The best dreams are those you have while awake, those you have some control over! Love the title to this work.